You may have noticed for the last few hours a message saying that you can’t access Club Penguin Mountains, or an error message appearing when you try and load the site. The reason for this isn’t too complicated: for the last few days, I’ve been trying to make one of the biggest changes ever to this blog, which is moving to a self-hosted version of WordPress. Basically, this would allow more helpful and useful content, and I wouldn’t be as restricted. 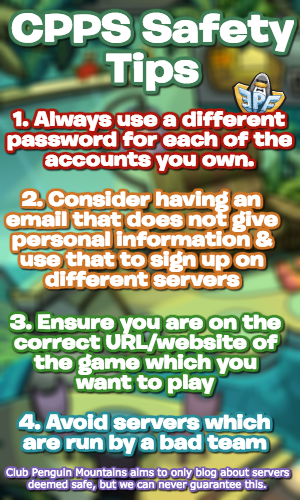 For example, one benefit could be allowing notifications whenever a mascot is online. Unfortunately, especially with issues of the domain, this hasn’t gone so smoothly, and a result, there has been and may continue to be some time where this website isn’t working. Please don’t worry, this website is (and will remain) completely secure, and you can see our privacy notice here. 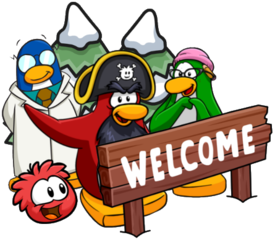 Please do not worry if Club Penguin Mountains is unavailable for sometime, I will always try and fix it as quickly as possible.